Vitamin B12: Cobalamin | Your Health. Your Lifestyle. Vitamin B12 is a soil-based microorganism and the best-known and most complex of all the known B vitamin family. It is unique in that it contains a metal ion, cobalt. For this reason, cobalamin is the term used to refer to compounds having B12 activity. Methylcobalamin and 5-deoxyadenosyl cobalamin are some of the forms of vitamin B12 used in the human body. The form of cobalamin used in most synthetic supplements is called cyanocobalamin. Cobalamin is known to help keep red blood cells healthy. Studies we have conducted at Hippocrates on B12 deficits found that well more than half the general population lacks an adequate store of this vital nutrient. When you lack this nutrient and red blood cells cannot carry oxygen and nutrients through your body, you may develop pernicious anemia. Your brain becomes the first target when B12 is in deficit, with memory loss and even Alzheimer’s as a consequence. 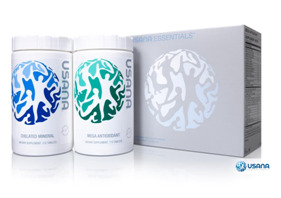 Vitamin B12 is also integral to the making of DNA, RNA and myelin, the white sheath protecting nerve fibers. Your nervous system also requires B12, and without it, begins to erode. All cells, not just your red blood cells, need B12 to grow and divide properly. This includes the white blood cells required for a healthy immune system. Cobalamin helps maintain the health of the body’s nerve sheath, the fatty layer that surrounds the nerve cells and protects healthy nerve function. Working with the other B vitamins, including pyridoxine and folic acid, B12 helps turn the carbohydrates, fats, and proteins in food into cellular energy. Rice sprouts and wheat grass are naturally high in the whole B vitamin complex, yet alone do not supply enough of it. We recommend full-spectrum extracts of wheat and rice, which contain high-quality natural sources of the B vitamin complex combined with a bacterial living form of B12 supplement. Vitamin B12 is found in freshwater algae and sea vegetables. Yet it is necessary for all of us to ingest a bacterial supplemental form on a daily basis; it must be a naturally occurring source of the vitamin. Animal food consumption does not provide a digestible and complete form of this common essential nutrient. Posted in Vitamins and tagged B Vitamins, Vitamin B12 by Sarah. Bookmark the permalink.